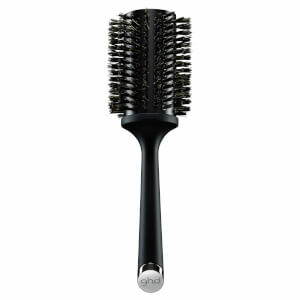 Style mid to long length hair effectively with the ghd Paddle Brush. Perfect for achieving smooth and sleek finishes, the bristles glide effortlessly through your hair to banish knots and tangles. Heat and static-resistant, it's the ideal for use when blow-drying, and can also be used to smooth your hair into a classic ponytail or a lavish updo. - L.M. It is large but light. And very fast to brush my whole head. Great brush. A little heavy when using it whilst drying my hair, but all in all easy to use and covers most of my head in a couple of brushes. 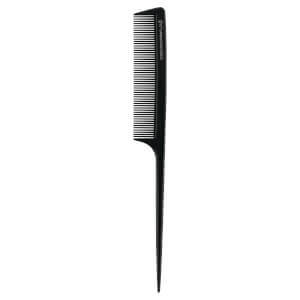 I have long, but very fine, hair and this brush services it splendidly. It does not yank it and does not break it and most importantly for me, it does not electrify it, no matter when I use it and whether my hair is towel-dry or wet or dry. 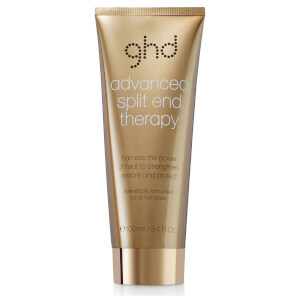 Great to use in combo with all other GHD products and tools which have never let me down. Another winner from GHD. Really awesome brush which I never used before. It's comfortable when I brush my hair. Good to take it, good to use it, n good to see it. It's really beautiful. This is definitely the best paddle brush,glides through my hair better than any other paddle brushes,love it,& better still got it cheaper with a discount code. 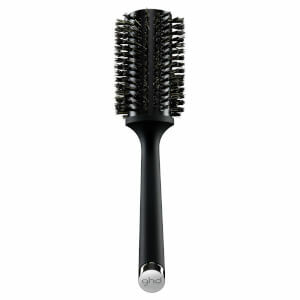 With this big wonderful brush, I'm fall in love with combing my hair, it's really a enjoyable experience.